Free trial. No contracts. No per-user fees. 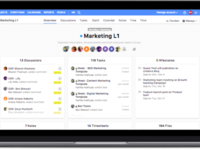 ProofHub is a SaaS-based project management software that comes with integrated Group chat, quick Discussions on projects, Workflows and boards, Project reports and many more powerful features. It enables teams to collaborate and communicate over projects in an easy and flexible manner from one place and is also available for both Android and iOS operating systems; making it easy for even remote teams to stay connected. Plus, you also get a free trial before going for the paid version. Pros: Extremely simple and easy to use too. Cons: The tool is quite simple and might not be working for large organisations and complex projects. There are no workflows and requirements management. Overall: Great tool for small organisations and diverse teams. Comments: Proofhub is on paper a great software, it combines powerful functionalities like no other. The problem is that there are many loose ends that are still to be worked out. For example, there is no way to choose which notifications to receive, there's no possibility to manage groups into projects, and the page doesn't load completely sometimes. These are just some examples of things that can be repaired, and I hope they get them right soon, to fulfill the promise of being the best project management tool. Thanks for sharing your feedback with us. I'd like to tell you that we are planning to enhance our notifications system. In it, you will be able to select the sections for which you want to be notified. We will inform you as and when it is implemented. Also, if you are facing any difficulty regarding loading of any section then please send us the issue at support@proofhub.com and our concerned team would get back to you. I'd also like to tell you that we keep on enhancing ProofHub day by day and your feedback matters a lot to us. We will definitely consider your suggestions in due course of time. Please feel free to write us anytime if you have any other suggestions. Cons: Pretty hard to upload existing list of tasks - you need to first break it down by different departments. Overall: Easy to use and quite good price for full subscription. Pros: Really happy with almost all functions of the tool. Extremely easy to use, intuitive and has great how-to section and support. My team loved the interface and simplicity. Overall: Happy with the tool for small teams. Price is awesome for such tool and all the functionalities it has. Comments: I pretty LITERALLY cannot say with any sort of confidence that I'd still have enough interest in business ownership to be in biz for myself again years later had I never found Proofhub. The NAME says it all I needed visual proofing as a freelance graphic/web/mobile designer, and I needed a hub to keep everything organized and keep everyone in the loop. I tried going back to a 9-5 and I was astonished they didn't have project management software. People just don't realize the POWER of a project management tool until they use one. Then, it's obvious, sad and embarrassing to think about how much time you wasted before using one. LOL. The customer service is fantastic - although, you won't really need it a ton because the product is so solid. It's also extremely intuitive and easy to use, and I like that it's able to be branded. I'm in a different-ish sort of business for myself this time around but I still use Proofhub and don't plan on changing anytime soon. I even use it for collaborations with other artists and even things like planning my LIFE. lol. You just can't beat the task-master that it is (especially for us visual designers). I don't even have to quantify it with "for the price" because no, you just can't beat it at all for what I do. Pros: Our experience with ProofHub started out great. The enthusiastic marketing guys were wonderful. We were happy and anything seemed possible. Tutorial videos were great, all the features we need are there. We subscribed immediately for 1 year. Cons: After a few months, the team became uncomfortable using ProofHub. UI is fast but a bit erratic. The Gantt chart which management heavily relies on is a pain to use and set up for each project. It's there, it completes ProofHub's feature list, but using it became no longer practical since more time is wasted for trying it to work as intended. The team reverted back to manual project management. We were not able to get a refund for one year of payment. They said they're checking if they can still do a refund but no word ever since. 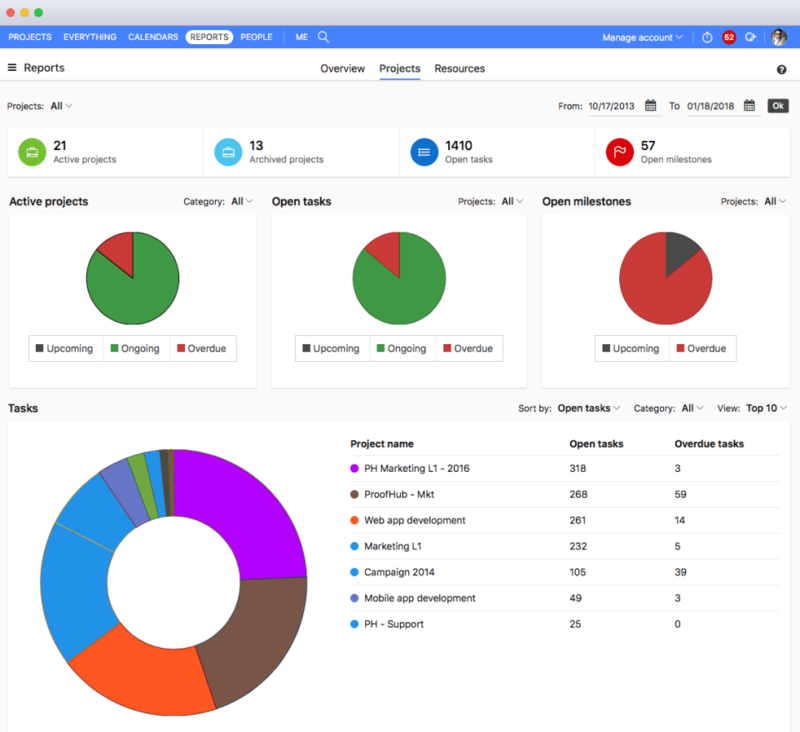 Comments: As of now, there is no easy way to keep track of all your projects and still see everyone else's projects. With 100+ users managing their own projects, there is less chaos than I expected. Still, I think the "Me" tab will make things a lot easier for our users once it's released. Since people find assigning tasks to be tedious, it will make things much easier if they can view what projects they are assigned to. Comments: All in all the platform is a relatively easy and full system for content approval and management. There are areas that need to be improved and more user customization would benefit this platform greatly. 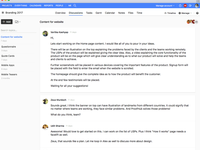 Pros: ProofHub is a great solution for project management and content approval. It keeps things under one system and logs interactions and approvals on content allowing seamless workflows. The platform is wide reaching and that gives the team flexibility to scale and this puts proofhub in a great position. However, it does have some limitations. Cons: The training modules are very basic and hard to really get through. We found them to be low quality and not helpful. The other major limitation was approval and access leveling. 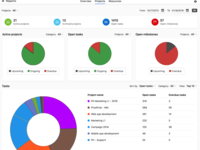 We used this platform as a client portal and content approval platform and found that the various elements could not always be partitioned in a way that made sense. PH gives you a set number of predefined roles and you can not customize This making it difficult. Last, the redundancy of certain elements renamed as something similar creates confusion among users. Pros: "Me" section is a great addition. Cons: The gantt chart can certainly use some more features. 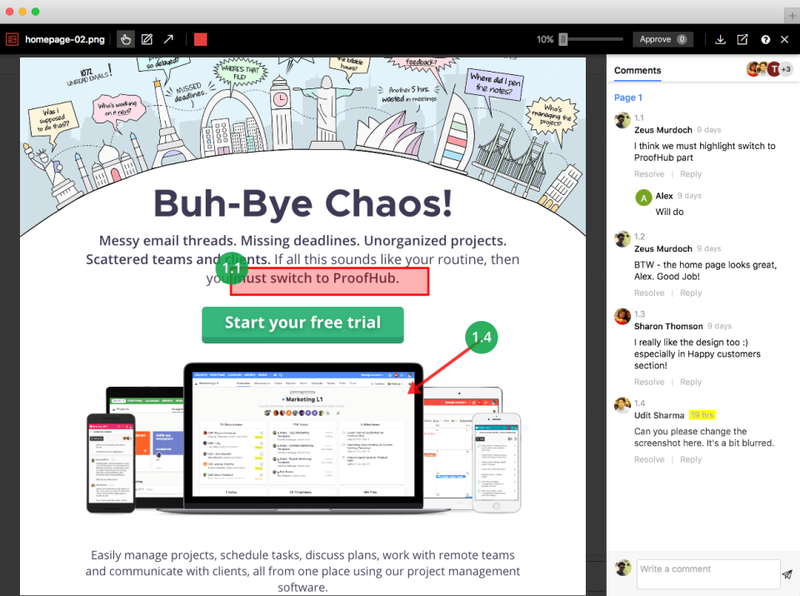 Overall: Our company has been using ProofHub as a collaboration and task management tool for close to two years now. ProofHub Bolt was a major revision and had lots of bugs when it was released a couple of months back. Over the last few weeks, the ProofHub support team has very proactively and aggressively fixed bugs reported by us. In fact, they were eager to learn more about the issues that we had been facing via Skype call. It feels great to know that the company stands behind its product and is willing to listen to the feedback. There are still a couple of bugs remaining but we feel very confident that they will be fixed. ProofHub Bolt certainly brings a fresh life to the product and its "Me" section is neat. Comments: My team and I tested ProofHub before eventually going in another direction and really enjoyed using it. The interface was simple and intuitive and even the least tech-savvy of our team did well with it. Pros: I really love ProofHub's tools for proofing. However, they've lately been marketing themselves as a full-fledged project management software. I'm not sure I could support that direction, as their PM tools are still relatively light. My team and I tested ProofHub before eventually going in another direction. Cons: This is a story of a platform attempting to extend too far beyond its roots. The name is 'ProofHub' for a really good reason -- it's great for proofing! Other functionality, not so much. The workflows and boards are not as fully thought-through as they could be, for one. We tried different tools, ProofHub beats them all! 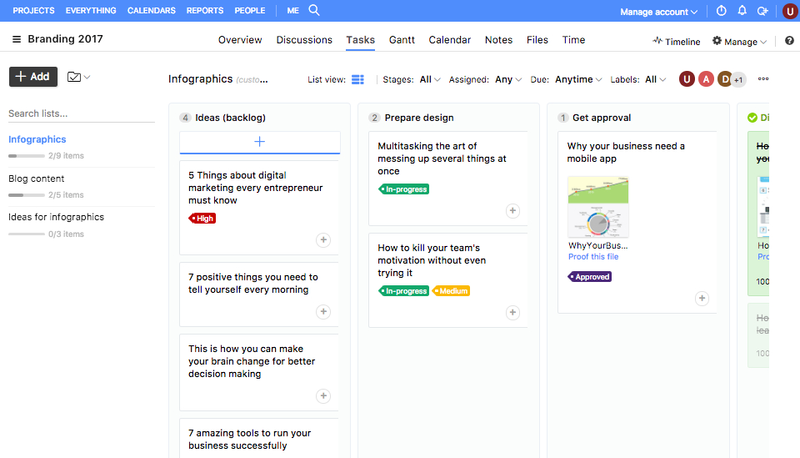 Pros: It's great to have everything at one place, Projects, Gantt charts, team chat, files, mobile version. Top value for the price! Since we are not software company, it was hard for us to find the right tool. We're lucky that we stumbled upon ProofHub! Cons: We had some issues on Chrome notebook, since it has touchscreen. We fixed it trough chrome plugin. Other than than there is nothing else to add! They are on to something BIG. Comments: After scanning many, many solutions in the same market place. I came across Proofhub, that really understood what professionals like myself needed to run a high powered business. 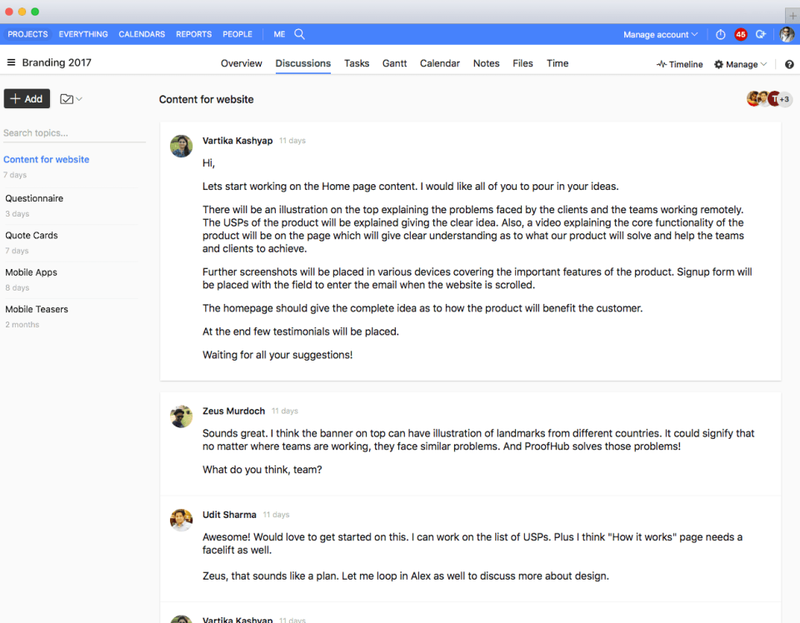 With proofhub you can organize all your thoughts, projects, task, people, files, etc... in a simple clean manner. I have 3+ different companies with multiple projects going on in each, each company has several people using proofhub, proofhub allows me to keep a bird's eye on EVERYTHING. And then there is the Awesome Gantt Chart. This was the main reason I knew proohub was on to something BIG. Other companies shy away from in-depth Gantt functionality, when it's a brilliant tool to manage your processes. The Team at Flyhtlab.com loves proofhub! Pros: Directly targets my immediate needs and helps with projecting future work by quantifying the work now. Cons: Would like to be able to spawn others to create projects under one user umbrella. Think about that for a second. Overall: Just getting started and the proof is in the making yet I am expecting this to be a game changer for managing projects in a much more effective and fun way. Pros: This software offers the addition of Gantt is a huge plus and the in-app messaging is seamless in use and delivery. The best part is the mobile app is fully functioning and reliable. Cons: This software haven't very user interface friendly and too many notifications. I think it can be improve. 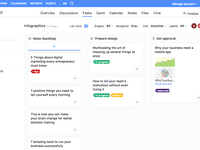 Overall: This is a great tool for saving time on project management. We're so happy to have you as a customer. Thanks for the suggestion. Pros: This is a nice project management tool which organize the projects and documents and also gives a short list of alternatives. Cons: The software becomes very slow sometimes causing issues in downloading and uploading files from multiple users. Comments: ProofHub has been a great tool to use at our construction company. We have many development projects spread throughout our country (Dom. Rep.) and we needed a way to stay on top of our tasks, company-wide. After much searching and comparing, ProofHub was the best tool I could find for what we wanted, allowing us to have as many users as we wanted and having many great features. The support team is responsive and the tool is ever-improving. There are bright days ahead for this tool. I used it for a few weeks. Loved the timeline and the design. Pros: The Reports section. The calendar shows all the projects scheduled, what makes very easy to see how much time you got free. Cons: It had several minor bugs. Tasks kept disappearing and the chat not always showed all the messages. Refreshing the page made some things disappearing, too. That's way my agency used it for just one week. Overall: Easy to use, many functionalities. I can't tell if the bugs are commom. The bugs you mentioned were there few months back due to some technical glitches and have been fixed now. You are always welcome to give ProofHub a try again. Pros: Helping us a lot to stay organized. Overall: I am having a great experience with this software and is helping me to keep more organized. Highly recommended. Comments: Great tool for saving time on project management, automate tasks, communicate with team members, clients and track time. Pros: It is good for working w/ Marketing project teams. Cons: Not very user friendly and too many notifications. 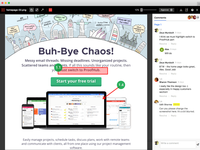 Overall: In my past, I have used Basecamp and have really liked it. In using ProofHub, I found it to be very robust but not as user friendly by comparison. It sends lots of notifications to your email, which I changed in the settings. But now I feel like I don't have as much insight as I want. In other words, it seems to work in extremes when it comes to notifying you and/or team members about project deadlines, activity, etc. Great potential but a still has a way to go in UX. Pros: All the features are great. It is one of the most complete platform I have found that offers these kind of project management systems online. Cons: The BIGgest issue is the UX, I think there is still quite a lot of thought and work that needs to be put into the interface and some frontend features. A good example is the document reader having a dropdown menu to change the page. Not acceptable. Comments: So far so good, I was able to on-board 15 people without much problems. Thanks for your review Michael. I have sent your feature request to concerned team. Comments: As a brand new user, I'm enjoying how easy it is to collaborate with my colleagues without having to send dozens of emails back and forth. Everyone is able to view the suggestions and changes as they happen to each file we proof together. An excellent investment as it saves all of us time and energy. Pros: I like everything about PH, the only think that i dont like is that i dont get all the notifications on my email. Comments: We are very happy with it so far. It needs a few more features that we have suggested you as well and we're looking forward to see how Bolt is looking(especially file versioning). Comments: It's very user friendly. I wanted something that just made sense and this just does. I really needed something affordable giving me unlimited users, and unlimited projects. Comments: We are new to ProofHub and loving it. The team is always very helpful and gets back to us quickly whenever we have questions. Thanks for the great product and service! Pros: This is a great project management software which enables teams to collaborate and communicate over projects and get great results. Cons: This software usage requires training and they have very basic training modules which needs to be updated. Comments: We have found ProofHub to be great for handling simple projects and keeping tasks organized. I strongly recommend this product.